Let’s accept it – Everyone wants to have content that goes viral! But not all of us are able to do that. We sit and watch those pictures and links from a certain brand or blogger being shared all across the internet and go red with envy. Well, you can find out the secret to the viral sauce too and no, it does not involve hiring a Private detective and barging into someone’s laptop! :) I have made quite a few viral social media and content campaigns during my agency tenure at Viralcurry, a marketing company I founded in 2013. Campaigns created by our team received millions of impressions and were posted by websites which receive millions of impressions and had very good Domain authority and Trust Scores. 1.1 How did we come up with the idea of this album? If you are looking at pictures of a person who looks like you, talks like you, experiences things like you do – chances are that you will like those pictures and share them too. This is what we did when our Whatsapp Screenshot album went viral and soon it was followed by several blogs including Scoopwhoop, Storypick, POPxo and many other websites. This campaign album also received more than 10000 shares on Facebook and each photo received 500 shares individually too. How did we come up with the idea of this album? 3 of us sat down and asked each other to come up with texting incidents with our mothers that are funny. We just kept telling you know what once this happened once that happened. We were ready with an album to post on facebook. We posted the real conversations each of us have had with our mothers. We uploaded the pictures on facebook on a weekend and on Monday we already had 3000 shares on the album! The point to be taken home is to stay real. Posting relatable and real content is always going to be to your benefit. 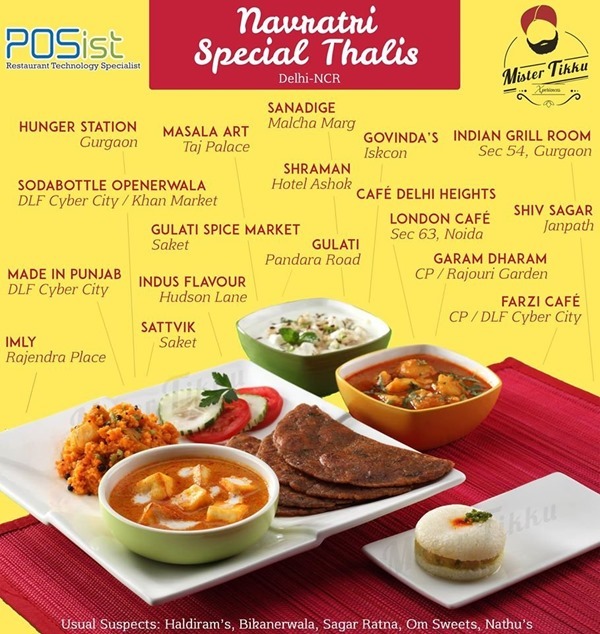 Once the sharing by common people is triggered (you receive approx 500 shares), boost the post with a small budget – Rs. 200 or 300. It will give a huge push to your content and soon famous facebook pages, blogs, websites will start reposting the content. You will have to make sure that they give you credit and a link. Reaching out to them will also help. Infographics with a brand watermark have been magic potion for every campaign I’ve done. I have also seen several other bloggers use this to get shares and links. Well researched lists and surveys are also very good link magnets. Several bigger blogs like Huffpost, E27 etc are always looking for ready made lists that they can post along with their inputs. 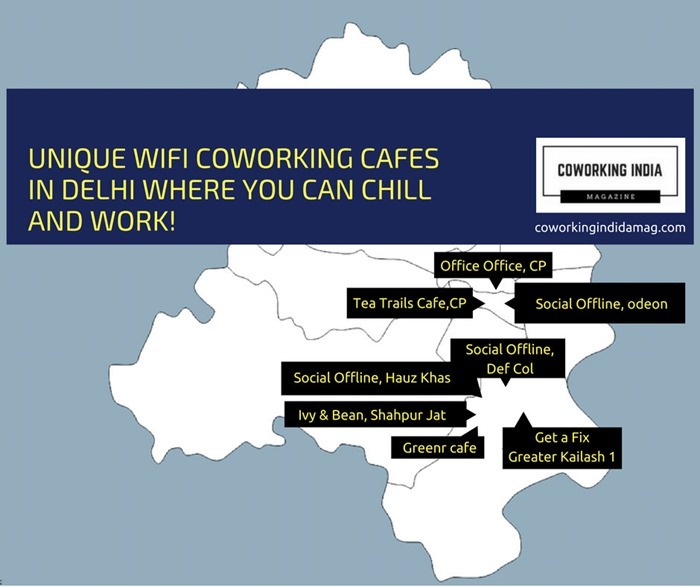 For example we make this map infographic every now and then on Coworking India Magazine telling people about the whereabouts of co-working spaces and cafes in several cities. Select a topic relevant to your niche. For example, your topic is “The health benefits of Soya Sauce”. Your first step would be to google search all the benefits that you could find. Narrow down to a maximum of 8 points. Now it is time to select a template (seek inspiration). You can check out other infographics on pinterest. A great way is to start designing your article on canva.com. There are so many designs, templates and layouts available on canva that you will never run out of inspiration. Now you have to use as many icons, maps, borders and fonts as possible. A lot of people might know the benefits of Soya sauce but if you are going to tell them beautifully, they might actually start using soya sauce and come back to read your blog again and again – and share the infographic. There are several ongoing issues in the present day and date. Ranging from politics to women empowerment. If you have a genuine opinion related to any of the current issues – feel free to express it. You can use images on social media and write content on your blog/ on medium. We did this campaign about how “women should not feel sorry” for being who they are. It received more than 10k shares on facebook and was shared by all the top websites in India. Here is the case study and screenshots of the shares. An important thing to consider here is to avoid overdoing it otherwise it can go against you. Be genuine in the opinion and do not try to exaggerate it for getting more clicks otherwise the audience might sense it and do not share it at all. The takeaway here would be to share a strong opinion on a current issue and repost it to as many media as possible including Facebook, medium, youtube and your blog. Once it starts getting shares, chances are that it will be picked up by media portals. If it is not, then you can send out emails to the portals with a coverage request. Here were some of the tricks that I have observed while creating and implementing viral campaigns. So, there you have it – If you are planning to create viral content, keep the above tricks in mind – you never know your next content may just break the internet! Author Bio: Garima Juneja, is Co-Founder at Viralcurry.com, a digital marketing firm founded in 2013. She is a Content Marketer & Social Media professional. Currently also building coworkingindiamag.com. "Tricks to Create Content That Goes Viral on Social Media and Could Give You Hundreds of High Quality Backlinks", 5 out of 5 based on 1 ratings.